Rory S. Coakley Realty, Inc. was incorporated in 1989 for the purpose of providing professional services related to the sale, purchase, lease, appraisal and real estate tax consulting for real estate properties. The firm strives to deliver superior services to clients who are seeking primary, secondary and/or investment properties. Unlike many real estate offices, Coakley Realty employs the use of teamwork to monitor and service its clients. This teamwork principle provides for a greater focus on the needs and wants of our buyers and sellers. A personalized approach and attention to detail are key components that continue to generate a majority of business through referrals from satisfied customers. Michael P. Rose has over 25 years of experience in the real estate industry, including selling, leasing, acquisition, appraisal, development, finance, management, consulting, and litigation support. After working for a short while in the Washington Redskins organization, Mr. Rose joined the Coakley team and quickly became one of the nation's top producers. In May of 1995, he was appointed to sales manager where in addition to selling, he oversaw over twenty agents. In March of 1998, Mr. Rose resigned as sales manager in order to concentrate his efforts on expanding his brokerage operations. He is a licensed real estate agent in the State of Maryland, the District of Columbia, and the Commonwealth of Virginia. Additionally, Mr. Rose is a qualified expert witness and has worked on a variety of cases dealing with the the marketing, legal issues, and valuation of real property. He is a graduate of Georgetown University with a B.A. in Economics and an MBA in Real Estate and Urban Development from The American University. He is also an active member of the National, Maryland, Greater Capital Area, and Northern Virginia Associations of Realtors. He has proudly helped heal homelessness in Montgomery County by serving on the Board of Directors for Stepping Stones Shelter in Rockville, MD since 2000. Over the years, Mr. Rose has dedicated a lot of effort to St. Raphael Catholic Church and School serving on the School Board and parish Finance Council while leading various strategic planning, fundraising and social initiatives for both. In 2001, Jon Triandafilou (JT) became a member of Coakley Realty and a member of the Rose Real Estate Group soon thereafter. He has over 16 years of experience in real estate acquisition and development, and has proven his skills in sales and leasing over the last ten years with the firm. JT is also an active member of the National, Maryland, and Greater Capital Area Associations of Realtors and the Rockville Chamber of Commerce. Community involvement is paramount to his character and it is evident in his work with the Rockville Senior Center, affordable senior housing initiatives along the Eastern Shore, and his participation on numerous school boards. 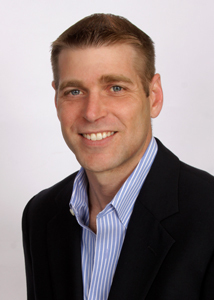 Chris Nagel has over 15 years experience in the real estate industry. He is licensed in the state of Maryland, District of Columbia and the Commonwealth of Virginia. He is a graduate of Indiana University of Pennsylvania (IUP) with a B.A. in Small Business Management and Entrepreneurship. 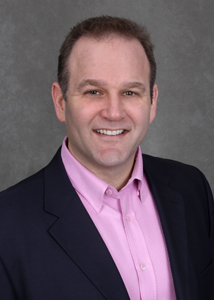 Chris joined Coakley Realty in 2010 to incorporate a team concept with the Rose Real Estate Group. 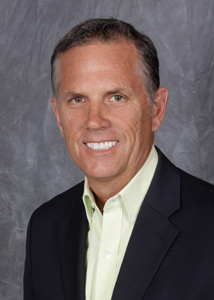 Previously with Weichert Realtors, Chris quickly became one of the top producers in the firm. He was inducted into the Ambassadors Club for his sales volume and was also ranked among the top 5 Realtors in the region for buyer's representation in 2009/2010. He is an accredited member of CRS (Certified Residential Specialists). He is also a member of the National, Maryland and Greater Capital Area Association of Realtors. Chris has sold properties in Montgomery, Frederick, Washington, Carroll, Prince George's, Anne Arundel, and Charles County as well as in the District of Columbia and Commonwealth of Virginia. Purchasing, selling, leasing or managing a property requires the service of an experienced real estate professional to guide you through the decision-making process and the associated tax, financial and legal considerations. The real estate industry is constantly changing, and The Rose Real Estate Group can assist you in making a prudent real estate decision.